From this tutorial you will learn how to save the header/footer you created and worked on and export it into json file. First, navigate to bottom panel in the left side of Elementor and click on Save Options button. Here, you need to select Save as Template option. Click on it. Now, in the opened window you will see a message offering to save your page to library. Type in the name of your header/footer and click Save button. Finally, your header/footer will be exported as a json file, which you can then import to your site. That’s all! 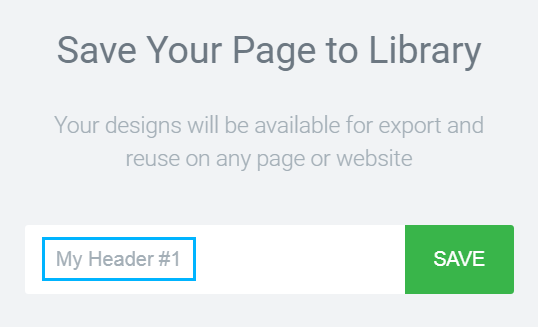 Now you can save and export your custom-made headers/ footers!